It was one of my random whims that brought me to Kith Cafe for breakfast after my night shift. 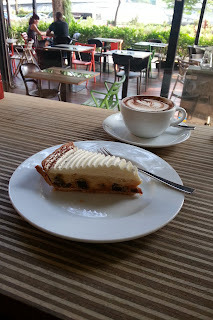 My stay here was pretty funny and I enjoyed my coffee and pastry. 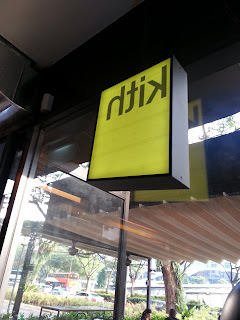 Kith Cafe was on my list since long ago. 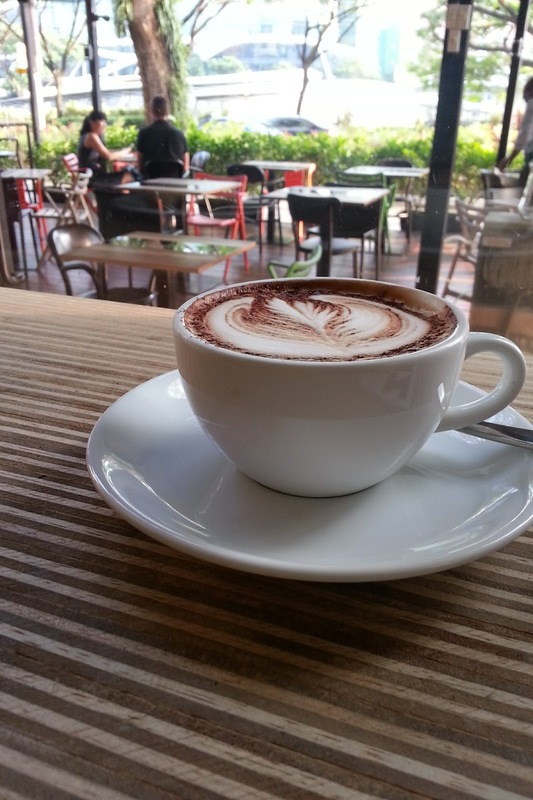 I went to the cafe located in Park Mall, Penang Road which is nearby my workplace. The cafe opens at 0800hrs so I just have to wait for an hour after my shift ends. 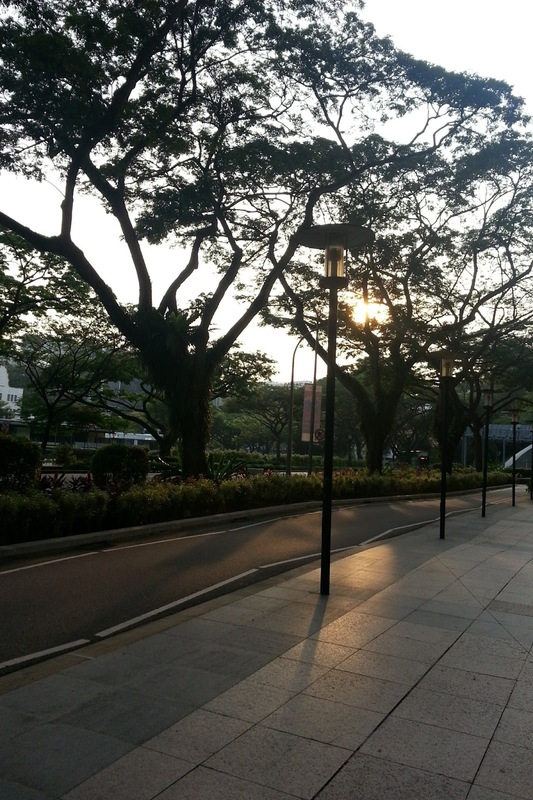 So I walked towards Plaza Singapura and stayed outside the mall with a can of cold coffee. 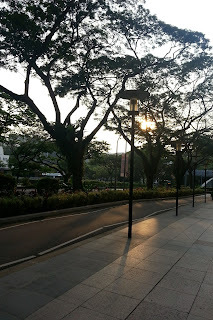 I had been in the area for almost two years but seeing things in the morning made everything look different. It could be the stroke of the sunlight or the time of the day. Whichever it was, things certainly looked different. I headed to Park Mall when it was almost time for the café to open. There were already a few customers when I arrived there. Like always, I'm oblivious like a lost child when entering a new shop. I didn't know how it works there. 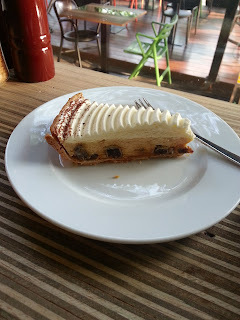 I took the seat in the inner part of the café because there were tables for a person or two in that part. Also, from there I can take pictures of the place better. The service staffs are still preparing the café but they are already in operation. One barista and one server. Enough for morning shift I believe. Design . 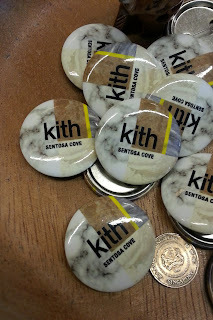 Kith Cafe was simple with the motif of yellow. 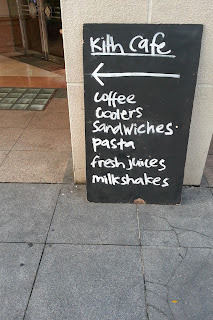 It was a modern minimalist café. It was not the artsy type of café with cute stuff all over the place. Given the space of the café, the minimalism concept is suited. The yellow motif was imbued in the wooden panels of the walls and tables. At the inner part of the café, the couches by the wall also serve as storage boxes. 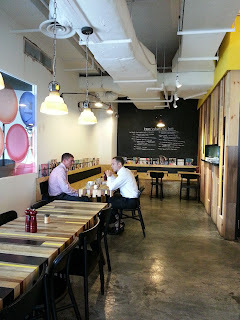 It could be a hassle when there were customers occupying the seats and they wanted to get their stocks. They have al fresco seats as well. 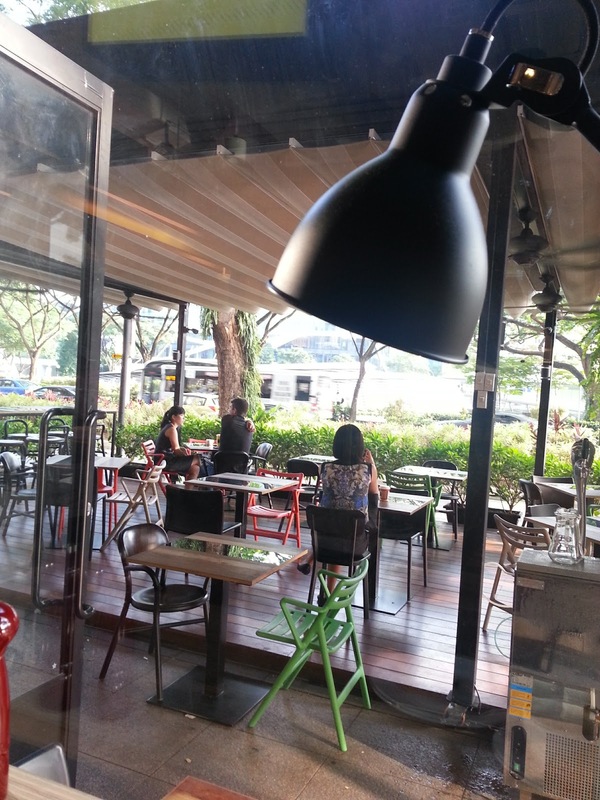 And it would be good to seat there in early mornings or late afternoons. I didn't checked with the staff whether these al fresco part was a smoking area though. 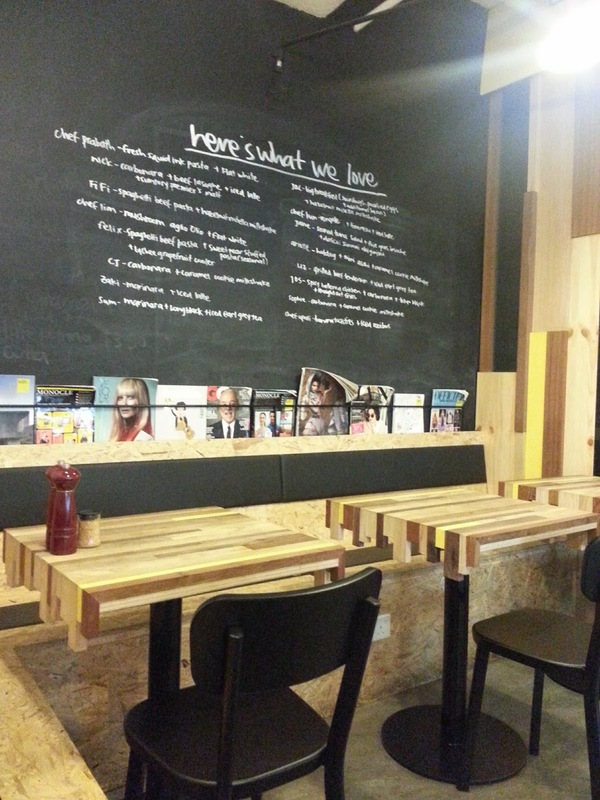 The minimalist concept was applied in the design of the cafe. There were no magazine racks in the cafe. As a replacement, the magazines were placed in the small space in the walls. It helps brighten up the place a bit too. One wall was painted black and the recommendations were written in white paint. It was in fact an artistic idea. The customers will know the specialty of the cafe without having to ask the staff. I shifted my seat to the stools by the window. I realized that I can take better pictures of the whole cafe from there. I can also see the al fresco seats from there and random people passing by. Coffee and Pastry . I ordered a Caramel Cappuccino and a slice of Banana Cognac Almond Brittle pie. The pie was heaven. I was never fond of banana based pastries. Out of curiosity, hunger and sleeplessness, I just ordered what looked and sounded nice. Banana cognac almond brittle sure is a long name but it was catchy. Moreover, it was really delicious. I could help another serving if I'm not tight on budget. 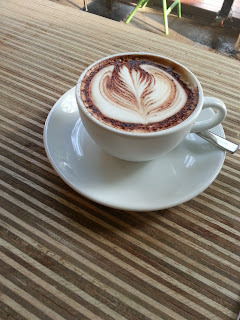 The coffee was good too. It doesn't have a very strong coffee flavour but not that weak as well. The foam was thick and rich and creamy. The aroma is just as good as well. I took my time writing in my journal and taking pictures of the place. And I was so sleepy. Here's the funny and embarrassing thing that happened. I finished my coffee and pie and packed my stuff. I wanted to take pictures outside too so I headed out. It only took me a while taking pictures outside and made my way going to the bus stop. 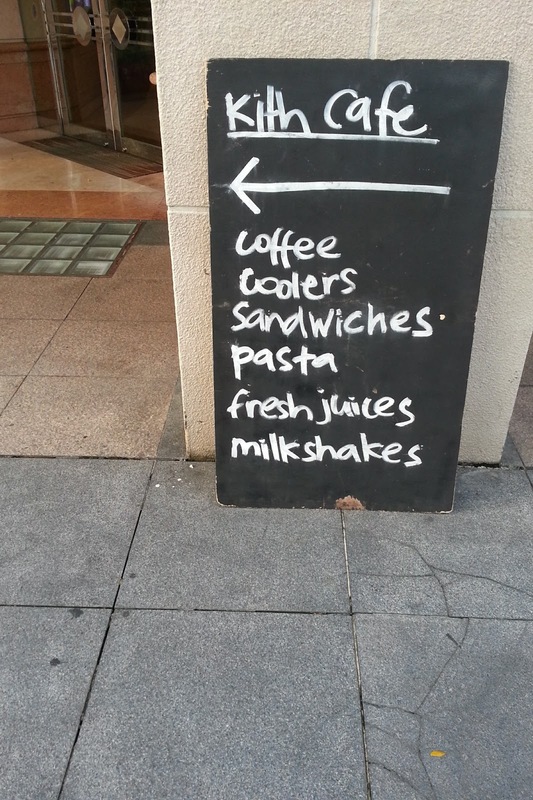 I was almost crossing the road when I realized that the service crew from the café was after me. Then I instantly realized that I have not paid yet. It was a really embarrassing thing to happen - leaving the café without realizing that I have not paid yet. It wasn't intentional but what would they think right? And maybe it was because due to being so sleepy that I actually didn't feel embarrassed like I am supposed to. I just didn't think of that much and I really did not care. I only wanted to go home. Whereabouts. 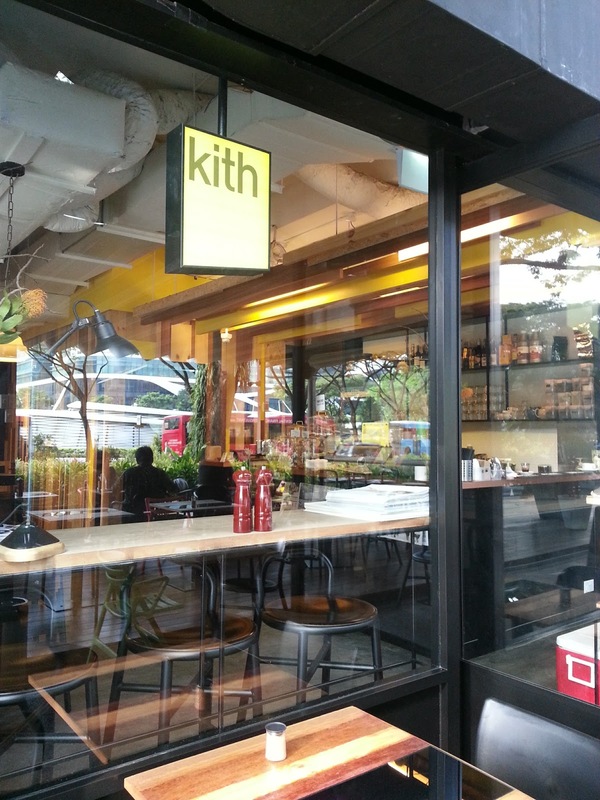 Kith Cafe has three outlets in Singapore, or so I believed. 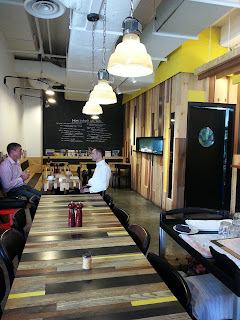 One in Park Mall in Penang Road where I dined in, another in Rodyk Street in Robertson Quay and the third in Sentosa Cove. Well, my focus here is the one I went to. It was pretty much easy to get to the outlet in Park Mall. Just alight in Dhoby Dhaut MRT station and head towards Park Mall or Penang Road exit. Several bus services are also passing by the Opposite Park Mall bus stop or Dhoby Ghaut and MacDonald House bus stops. Once in the area, you can't possibly miss Park Mall. 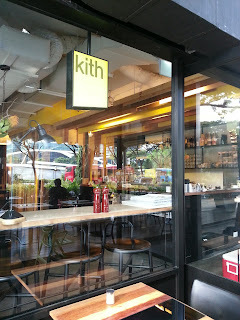 Kith Cafe was located in thr ground floor, street side of the mall. Check my posts on The Trutle Trail as well.